Puerto Rico has been in the news quite a bit lately. Specifically, its status as a new tax haven for Americans has landed it on editorial pages from Forbes to GQ. Here at Nomad Capitalist, we believe everywhere has a right to “go where you’re treated best”, and we work every day helping six- and seven-figure entrepreneurs legally reduce their taxes with offshore tax strategies. For some – but not all – American businesses and their owners, Puerto Rico is the ultimate tax haven. After all, business leaders such as Grant Cardone have long fled high-tax states like California for zero-tax states like Nevada, Florida, and Tennessee. However, eliminating state taxes is only a small part of the problem; residents of Florida and Nevada still pay US federal tax, while Puerto Rico residents often do not. As we’re fond of saying here, if you can move from California to Florida, you can move from Florida to Puerto Rico. Many entrepreneurs and investors have questions about moving to Puerto Rico to reduce their taxes without having to go fully offshore. However, we’ve found that many of these business owners and traders have a lot of questions about just how things work in Puerto Rico. Because of Puerto Rico’s special status within the United States, moving there feels to some like living in a foreign country. To help entrepreneurs and investors better understand what Puerto Rico is all about, we’ve compiled this list of frequently asked questions. Puerto Rico has gotten a lot of attention from folks like our friend Peter Schiff for its tax incentives like Act 20 and Act 22. Here at Nomad Capitalist, we help successful people legally reduce their taxes both by moving to Puerto Rico, or by moving offshore. (Hint: there is no “one size fits all” solution that applies to everyone; your business is unique.) You can learn more about working with us to reduce your taxes by clicking here. Does Puerto Rico Pay Federal Taxes? Generally, no… but it’s complicated. While part of the United States, the island is in some ways still independent. Its tax system is a hybrid that is part US, part… well, part offshore in a sense. That said, local Puerto Rico residents pay taxes to Puerto Rico, rather than to the United States federal government. Those rates can be higher than rates paid by mainland residents, so it’s not like everyone is living tax-free. 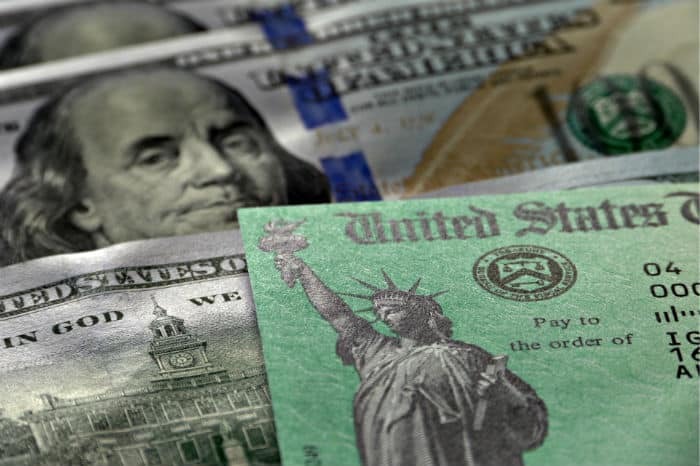 How Do Puerto Rico Tax Incentives Work? If you can legitimately move yourself and/or your business, you may be able to reduce your income tax bill down to almost nothing. As with any US tax issue, caution is required. By moving to Puerto Rico through one of the tax programs – which require you to have NOT lived there in the last fifteen years – you can take advantage of a 4% income tax rate, 0% dividend rate, and 0% capital gains tax rate. You and your business ACTUALLY need to move to Puerto Rico. It has to become your “tax home”. That also means severing or greatly reducing your connections with where you came from the same way you would if you moved from California to Florida. You can read more about Puerto Rico tax incentives in this article. How Many People Have Moved to Puerto Rico for Tax Incentives? More than 1,500 mainlanders have established residency here since 2012, when the island rebranded itself as a tax haven. So just what IS Puerto Rico all about, and what is its relationship with the United States overall? While some Puerto Ricans think of their island as a country, its official status is that of a United States territory. After hundreds of years of colonization by Spanish forces, Puerto Rico – along with Guam and the Philippines – was ceded to the United States under the Treaty of Paris in 1899, after the Spanish-American War. So, is Puerto Rico Part of the United States? Yes; Puerto Rico is a US commonwealth, and Puerto Ricans have freedom of movement throughout the United States. Likewise, you don’t need a passport to travel to San Juan, even though moving to Puerto Rico does offer tax haven status. While Puerto Rico has a certain level of autonomy and its own tax policy – hence Act 20 and Act 22 – it is still a part of the United States, which means there is always a risk that tax policies change in the future at the hand of Washington. Is Puerto Rico a US State or a US Territory? Technically, Puerto Rico is a US territory or commonwealth. It is not the 51st state, although some have advocated for that. As such, it is entitled to be largely part of the United States but also maintain its own affairs, including much of its own tax affairs. When Did Puerto Rico Become a US Territory? Puerto Rico was given to the United States after the Spanish-American War 120 years ago. The US Constitution allows for US possessions to be only states or territories, and as Puerto Rico is not a state, it is technically a US territory, regardless of its reclassification to “commonwealth” in the 1950s. Do I Need to Renounce My Citizenship to Move to Puerto Rico? No. 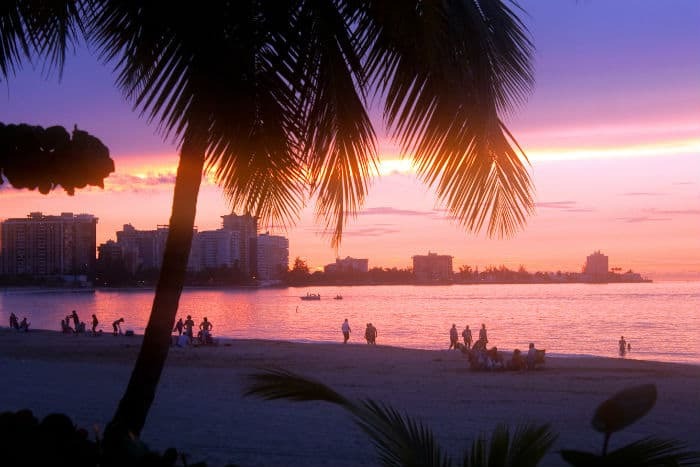 The unique appeal of moving to Puerto Rico is that it offers the benefits of a low or zero-tax haven without the need to actually live outside the United States, or give up US citizenship. That said, there are a number of myths surrounding citizenship renunciation, and many of those have come up in articles about Puerto Rico’s status as a tax haven. The fact is that many Americans could also benefit from living overseas in an offshore tax haven while still keeping their US citizenship. Each person will have a different tax solution based on their lifestyle needs and how their business operates. As with any tax issue, each case is unique. So while Puerto Rico allows you to remain in the United States – even if it may not entirely feel like “home” – it is not the only tax haven that allows you to keep your US passport. There have been numerous questions and referendums about Puerto Rico obtaining statehood over the years, with the most recent being in 2017. You can read this Wikipedia article for extensive details. A majority of Puerto Ricans have voted at various times to change the current territorial relationship with the United States, as well as to become the 51st state. However, the ultimate decision is up to the US government, and not actual Puerto Ricans. So far, there are no plans for Puerto Rico to obtain statehood, which is likely a positive for its tax incentives, considering residents of all US states pay federal income tax. As a US territory, Puerto Rico is part of the United States, and while they have their own island government, they do not have their own President. Who is the Governor of Puerto Rico? The current Governor of Puerto Rico is Ricardo Rosselló, in office since 2017; Beatriz Rosselló is the first lady. The Governor of Puerto Rico is the head of government and the executive branch on the island. He also oversees the Puerto Rico National Guard. Anyone born in Puerto Rico since January 13, 1941, is a natural-born US citizen. Prior to that, anyone living in Puerto Rico and born between April 11, 1899, and January 13, 1941, was declared to be a US citizen as of that same date. Puerto Ricans, as well as anyone born in Guam or the US Virgin Islands, have the same US citizenship as someone born in the 50 states. Does Puerto Rico Vote in US Elections? Puerto Ricans’ voting abilities are based on residence. As US citizens, Puerto Ricans are free to move to any US state they wish, and upon meeting the standard residence tests, may vote based on their residence there. For example, a Puerto Rican resident could move to New York and vote in presidential, Senatorial, congressional, and other elections in New York. However despite being a US territory, Puerto Ricans living on the island do not have a say in US congressional or presidential elections. Puerto Rico has no votes in the Electoral College, since it is not a state. Residents do, however, vote in presidential primaries and caucuses; Marco Rubio and Hillary Clinton won their respective parties’ primaries there in 2016. Puerto Rico does have a Resident Commissioner who represent’s its interests in Washington, but does not have any actual voting power in Congress. Can a Puerto Rican Be Elected US President? Since Puerto Ricans are natural born US citizens, they can be elected to US office, including the office of President of the United States. The typical requirements of running for elected office apply; in the case of President, this includes being a natural-born US citizen, being at least 35 years old, and having lived in the United States for fourteen years. It seems that “living in the United States” excludes living in Puerto Rico, which means a Puerto Rican would need to relocate to one of the fifty states or the District of Columbia for fourteen years in order to qualify. However, they are legally able to move freely through the United States, so this should be easily attainable. How to Get Puerto Rican Citizenship? While Puerto Rico is a country in a sociological context, it is not in the context of international relations. The world recognizes Puerto Ricans as Americans, and while Puerto Rican-born individuals and those who establish residency in Puerto Rico can obtain a “Certificado de Ciudadania Puertorriqueña,” this is effectively worthless as a formal citizenship. There is a possible benefit of Puerto Rican citizenship in being able to parlay that into Spanish (and hence, European Union) citizenship, but we haven’t seen that play out. It is important that you understand that tax benefits of living in Puerto Rico derive from residency, not citizenship. You don’t need to have any prior connection with Puerto Rico to reduce your taxes there, nor would becoming a Puerto Rican citizen help any more than becoming a resident under Puerto Rico and US tax laws. Can I Become a Citizen of Puerto Rico and Renounce US Citizenship? No, this has been tried and failed. Puerto Rico is bound to the United States, and renouncing US citizenship with the intent to reside in Puerto Rico would go against the requirement to acknowledge future non-residence in the United States, which includes its territories. If you want to renounce US citizenship for tax or other reasons, consider any other offshore tax haven along with a second passport. Many Caribbean countries offer citizenship in a matter of months. Before you decide to move to Puerto Rico for lower taxes, you might want to visit. Here’s what you need to know. If you’re a US citizen or legal resident, no. 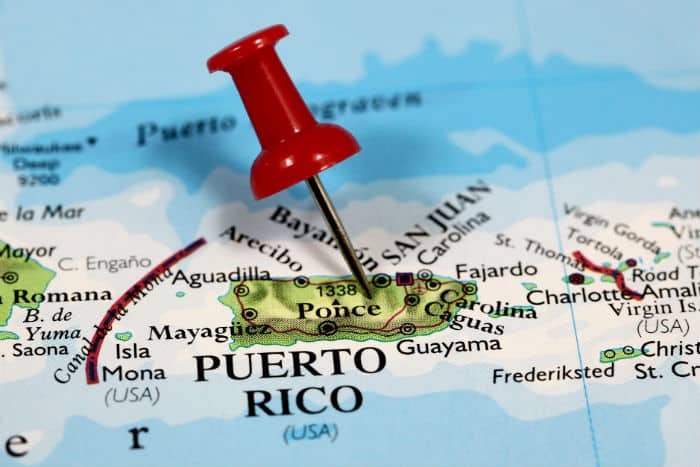 Puerto Rico is a US territory, and as such, all you need to visit is a Real ID compliant driver’s license or another form of photo identification. Flights to and from Puerto Rico are considered domestic flights, a distinction shared in the Caribbean by only one other island chain: the US Virgin Islands. If you are not a citizen or do not have immigration status in the United States, you will need a passport to visit Puerto Rico, and will be subject to all usual border and customs formalities. This includes the need for ESTA for Visa Waiver Program nationals, a valid visitor visa for citizens of countries that require one, and nothing besides your passport if you are a Canadian citizen. Can Puerto Ricans Travel and Move Freely to/from the US Mainland? Yes, Puerto Ricans have the same freedom of movement as all other US citizens. That means they are legally able to travel to the US mainland, Alaska, and Hawaii with only ID and not a passport. It also means they can relocate to any other part of the United States – although doing so would change their Puerto Rico resident tax treatment. Ready to move to Puerto Rico for its warm weather, sandy beaches, and low taxes? Here’s what you need to know. The current population of Puerto Rico is estimated at 3.4 million people, which marks a decline from the 2010 census. About 48% of the islands’ population is men, and 52% is women. Compared to the mainland United States, Puerto Rico is quite young. Nearly one in four people living in Puerto Rico are under the age of 18, and only one in seven are seniors over 65. What Language is Spoken in Puerto Rico? Spanish and English are both official languages, and English is widely spoken in the urban coastal areas like Vieques. If you plan to live in the expat bubble around the Ritz-Carlton, you can easily get by without a word of Spanish, and most tourist industry workers will speak fluent English. Outside of the touristed urban areas, Spanish will be more of a necessity as it is the daily language for most Puerto Ricans. That means that learning Spanish may not be a bad idea if you plan to move to Puerto Rico. The end of the Spanish-American War left Puerto Rico in the hands of the United States, and no longer part of Spain. The central bank was renamed, and the currency became the Puerto Rico dollar, issued on par with the United States dollar. By 1913, Puerto Rico had fully folded into the US monetary system, and since then the island uses the US dollar. That means if you’re visiting or moving to Puerto Rico from the mainland, you won’t need to exchange currency. Does Puerto Rico Have a Debt Crisis? Puerto Rico started its history of unbalanced budgets nearly fifty years ago. Since then, it has used bonds to cover up its fiscal irresponsibility. By 2018, the Puerto Rico government had $74 billion in bond debt and nearly $50 billion in unfunded pension liabilities. This debt crisis was driven by US laws that allowed for tax incentives on owning Puerto Rico debt, which the US Congress eventually removed. Suddenly, Puerto Rico government debt was not so attractive, and the island began issuing new debt to pay off old debt. Additionally, the US government has forbidden Puerto Rico to declare bankruptcy. However, the high debt load eventually caused Puerto Rico’s debt to be downgraded to junk bond status. Puerto Rico’s economy has suffered as a result of these spending policies, with unemployment rates above 12%. As such, we believe it is worth considering all possible outcomes if you are considering moving to Puerto Rico for tax incentives under Act 20 or Act 22. Can I Legally Buy Real Estate in Puerto Rico? Yes, foreigners can freely buy property in Puerto Rico and as can US citizens who are or intend to become resident on the island. In fact, many have. As business is generally conducted in Spanish, it is advisable to retain a buyers agent for any real estate transaction. What is Puerto Rican Culture Like? Puerto Rico has a rich culture based in its history with Spain, its Caribbean heritage, and its connections to the United States. It is a melting pot of Indian, Spanish, and African races that now shares many cultural traits with the United States. That said, like any relocation, there will be adjustments to make if you move to Puerto Rico. That’s why we often advise those looking to relocate for tax benefits to consider all of the world’s tax havens; any move is an adjustment, and if you can move to Puerto Rico, you may just be able to handle moving to Mexico, Malaysia, or any number of other friendly countries with low taxes and easy immigration policies for entrepreneurs and investors. Could statehood end Puerto Rico’s tax incentives?